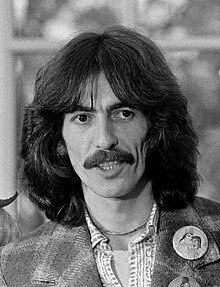 George Harrison (25 February 1943 – 29 November 2001) was a British songwriter, musician and film producer most famous as a member of The Beatles. One's values are profoundly changed when he is finally convinced that creation is only a vast motion picture and that not in, but beyond, lies his own ultimate reality. Asked for his greatest ambition. Pop Chronicles, Show 28 - The British Are Coming! The British Are Coming! : The U.S.A. is invaded by a wave of long-haired English rockers. Part 2, (1964, broadcast 1969). It just annoyed me that people got so into the Beatles. "Beatles, Beatles, Beatles." It's not that I don't like talking about them. I've never stopped talking about them. It's "Beatles this, Beatles that, Beatles, Beatles, Beatles, Beatles." Then in the end, it's like "Oh, sod off with the Beatles," you know? He was annoyed 'cause I didn't say that he'd written one line of this song "Taxman." But I also didn't say how I wrote two lines of "Come Together" or three lines of "Eleanor Rigby," you know? I wasn't getting into any of that. I think, in the balance, I would have had more things to be niggled with him about than he would have had with me! I felt in love, not with anything or anybody in particular but with everything. I'd thought it would be something like King's Road [London], only more. Somehow I expected them all to own their own little shops. I expected them to all be nice and clean and friendly and happy … (on the contrary, I discovered them to be) hideous, spotty little teenagers. I don't mind anybody dropping out of anything, but it's the imposition on somebody else I don't like. The moment you start dropping out and then begging off somebody else to help you, then it's no good. It doesn't matter what you are as long as you work. It doesn't matter if you chop wood as long as you chop and keep chopping. Then you get what's coming to you. You don't have to drop out. In fact, if you drop out you put yourself further away from the goal of life than if you were to keep working. I look at the world and I notice it’s turning. While my guitar gently weeps. No one else can make you change. And life flows in within you and without you. 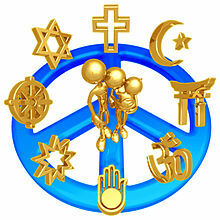 You can know all things on earth. Without looking out of your window you could know the ways of heaven. The farther one travels. the less one knows, the less one really knows. Trying to, touch and reach you with, heart and soul.